In the next few weeks, the government is set to publish the findings of two independent reviews by David Croisdale-Appleby and Sir Martin Narey into social work education. These reviews provide an excellent opportunity for the profession to build on previous initiatives and to ensure that future generations of social workers are trained effectively. There is a real need to embrace reform. With more people experiencing multiple and chronic conditions, there will be a greater need to deliver social work services in the community and across traditional provider boundaries. For example, a third of people with a physical illness are also diagnosed with a mental illness, meaning they require a mixture of interventions. The social work curriculum and practice placements must prepare students to work within this new environment. Newly qualified social workers (NQSWs) must arrive in the workplace with knowledge of the importance of working with colleagues from a range of agencies and organisations, and be able to assert their professional identity and defend the social work perspective during joint decisions over treatment. This is particularly important in mental health, where the input of social workers has often been marginalised in favour of that from medical professionals. Social work continues to suffer from an image problem. It is often not seen as a desirable profession, and lacks the status that is afforded to others. This can be seen when looking at which students are attracted in to the profession. Students with higher UCAS tariffs are underrepresented on social work courses when compared to other subjects and, of the 2,765 people starting an MA in social work in 2011, only 150 had completed their undergraduate degree at a Russell Group university (less than 6% of the total). There is also a lack of pathways for those who excel in related fields, such as improving access to psychological therapies (IAPT) workers in mental health, to progress into social work. The profession could therefore be missing out on several potential sources of talent, thereby failing to ensure that the range of skills and experiences required to be effective social workers are fully represented in the workforce. Some programmes, such as Step Up to Social Work and Frontline, have begun to address these concerns, but more should be done to establish a wider range of entry routes. The profession needs to actively recruit high-calibre graduates, talented care workers and those with experience of working in the health sector, and encourage them to become the social workers of tomorrow. Staff retention rates in social work are significantly lower than for comparable professions. Whereas a nurse will on average use their professional qualification for 15 years and a doctor 25, a social worker will only use theirs for eight. Key to improving retention rates is ensuring that the quality of managers and supervisors are sufficient to allow good quality NQSWs to develop the right ethos when entering the workplace. There is scope within the education system for post-qualifying programmes that ensure experienced social workers develop the skills needed to lead both individual teams and the profession more generally and halt the perpetuation of bad practice that could otherwise occur. A key reform which is long overdue in social work in England is the introduction of a national system for workforce planning. There is currently a mismatch between the supply and demand of social workers across different regions, with no means for guaranteeing that those with the highest vacancy rates will be those that are training the highest number of new recruits. (As social work students are typically slightly older than the average for undergraduates, they are less likely to be willing to relocate after studying.) And despite only 64% of second year students reporting being placed in local authorities in a 2013 survey, experience in a statutory setting continues to be vitally important in determining their employment prospects after qualifying. Course admissions and the provision of statutory placements should therefore be coordinated to ensure that employers in all regions are able to access the required numbers of sufficiently trained NQSWs. An ageing population, a growing incidence of mental illness and a rise in levels of multi-morbidity mean that demand for social workers is only likely to increase over the coming years. In the face of these challenges, the profession is under added pressure to ensure that students are fully prepared. The upcoming reviews present an opportunity that ought not to be missed. Its good to see the IPPR helping solve our problems as a profession, but I do think the piece rather oversimplifies the situation. The DfE and DH separate and independent reviews of social work education fly in the face of this piece’s comments about ‘integration’. Social Work remains a singe profession, with a single College and the enormous amount of work done in moving the profession – and social work education in particular – forward by the Social Work Reform Board deserves better treatment and acknowledgment. I also think we need to consider the evidence of ‘high flying graduates’ entering relatively low paid professions. TeachFirst is looking at over 50% of its graduates leaving teaching within three years. What a waste of public money. Schemes like these – unless salaries rise and workloads fall – are likely to add to the problem – not fix it. However, I’m glad to see the emphasis on CPD in this piece- surely part of the answer to the problems of retention in the profession. And I would also add a note of caution on the oft mentioned oversupply of qualified social workers. That’s certainly not what the CFWI concluded and a number of recent policy changes appear to be reducing supply – £9K fees, fewer bursaries, fast track models, role definition changes, LA funding constraints, closing SW programmes and so on. I’m afraid the advice in this article leads me to believe that the author is out of touch with the profession & initial education. This is the basis of much contemporary practice and therefore forms a core part of the curriculum at uni. The majority of students will experience at least 1 of their placements in either an integrated team or one in which there is co-location or very close working relationships with other professionals. It is also important that students are prepared for non traditional working environments as the statutory sector is increasingly replaced by a diverse range of service providers. I’ve never been sure why these two concepts are used together. It is true that social work has an ‘image problem’ but in my experience a number of mature people in quasi -professionals roles are already choosing to enter the profession. There is nothing new in the author’s comments here & I agree with No Easy Fix that Frontline is not a viable solution. More like a blind alley. 4. Workforce planning. This would be sensible but it will remain an impossible dream as long as there are unpredictable changes in local authority funding, whether these are driven by economic hard times or changes in the political make up of councils or central government. Thanks for your comments. 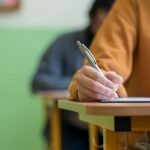 It is not the intention of this piece to downplay the significant improvements to social work education that have been introduced in recent years following the recommendations of the SWRB and, later, the College. Fusing the PCF with the curriculum, the steps taken to improve practice education via PEPS, changes to bursary eligibility and the ASYE scheme are all welcome improvements that mean social work education is certainly in a better place than it was prior to the Social Work Task Force being put together. The CPD programmes suggested would be those that aim to improve the skills of experienced supervisory-level staff, rather than NQSWs (and so would not impede on the territory of the ASYE scheme). Fast-track programmes, like Frontline, should not be considered as an alternative to traditional methods of education, but as an addition to them (resources permitting). If they are able to broaden the set of people who want to become social workers then they ought to be encouraged. Teach First retention rates for one more year after completing the two year programme are 68 per cent, which is higher than for those coming through the traditional PGC route. Although the new curriculums developed in accordance with the PCF do give greater emphasis to integration practices, there is still a need within the education system to prepare students for the professional pressures in integrated teams and how to deal with them. As integration continues to accelerate in many settings, this will only become more important. The reviews need to consider one of the most serious problems in current Social Work education – the lack of experienced practitioners teaching at a University level. So many of the academics lack any experience past their own Social Work placements that it is scary to think these people are teaching prospective practitioners what it is like ‘out there, on the frontline’ when they have never experienced it for a prolonged period past 6 months. Cod: My experience is clearly very different to yours. Most social work academics I am aware of have years of experience in practice & many maintain some form of practice in addition to their academic commitments. Both the HCPC & TCOSW stress the need for academics to remain in touch with current practice & the currency of teaching is reviewed by the HCPC and TCOSW during their approval/ endorsement processes for social work initial training courses.